ENGINE: 3.6L V6 24V VVT UPG I W/ESS (STD), Wheels: 18 x 8.0 Tech Gray Aluminum, Valet Function, USB Host Flip, Trip Computer, Transmission: 8-Speed Automatic (850RE), Transmission w/Driver Selectable Mode and Sequential Shift Control, Tracker System, Towing Equipment -inc: Trailer Sway Control, Tires: P265/60R18 BSW AS LRR. This Jeep Grand Cherokee has a dependable Regular Unleaded V-6 3.6 L/220 engine powering this Automatic transmission. * Experience a Fully-Loaded Jeep Grand Cherokee Limited *Tire Specific Low Tire Pressure Warning, Tailgate/Rear Door Lock Included w/Power Door Locks, Systems Monitor, Steel Spare Wheel, Speed Sensitive Variable Intermittent Wipers, Single Stainless Steel Exhaust w/Chrome Tailpipe Finisher, Side Impact Beams, Short And Long Arm Front Suspension w/Coil Springs, Sentry Key Engine Immobilizer, Roof Rack Rails Only, Rocker Panel Extensions and Black Wheel Well Trim, Remote Releases -Inc: Power Fuel, Remote Keyless Entry w/Integrated Key Transmitter, Illuminated Entry and Panic Button, Rear-Wheel Drive, Rear Cupholder, Rear Child Safety Locks, Radio: Uconnect 4 w/7 Display, Radio w/Seek-Scan, Clock, Speed Compensated Volume Control, Aux Audio Input Jack, Steering Wheel Controls, Voice Activation and Radio Data System, Proximity Key For Doors And Push Button Start, Power w/Tilt Down Heated Side Mirrors w/Driver Auto Dimming, Manual Folding and Turn Signal Indicator. * Visit Us Today *Come in for a quick visit at Moss Used Super Store, 1545 SE Evangeline Thruway, Lafayette, LA 70508 to claim your Jeep Grand Cherokee! TRANSMISSION: 5-SPEED AUTOMATIC (W5A580) -inc: Hill Descent Control, Tip Start, TIRES: P255/75R17 OWL ON/OFF ROAD (STD), SUPPLEMENTAL FRONT SEAT SIDE AIR BAGS, QUICK ORDER PACKAGE 24S SPORT S -inc: Engine: 3.6L V6 24V VVT, Transmission: 5-Speed Automatic (W5A580), Deep Tint Sunscreen Windows, Leather Wrapped Steering Wheel, Front 1-Touch Down Power Windows, Remote Keyless Entry, Power Heated Mirrors, Power Locks, Auto Dim Mirror w/Reading Lamp, Security Alarm, Chrome/Leather Wrapped Shift Knob, NORMAL DUTY SUSPENSION (STD), MANUFACTURER'S STATEMENT OF ORIGIN, ENGINE: 3.6L V6 24V VVT (STD), BRIGHT WHITE CLEARCOAT, BLACK, CLOTH SEATS W/ADJUSTABLE HEAD RESTRAINTS, BLACK 3-PIECE HARD TOP -inc: Rear Window Defroster, Freedom Panel Storage Bag, Rear Window Wiper/Washer. This Jeep Wrangler JK Unlimited has a dependable Regular Unleaded V-6 3.6 L/220 engine powering this Automatic transmission. * Experience a Fully-Loaded Jeep Wrangler JK Unlimited Sport S *Wheels: 17 x 7.5 Aluminum, Variable Intermittent Wipers, Trip Computer, Transmission: 6-Speed Manual (NSG370), Trailing Arm Rear Suspension w/Coil Springs, Towing Equipment -inc: Trailer Sway Control, Tires: P255/75R17 OWL On/Off Road, Sunrider soft top, Single Stainless Steel Exhaust, Side Impact Beams, Sentry Key Engine Immobilizer, Seats w/Cloth Back Material, Removable Rear Window, Removable 3rd Row Windows, Rear Cupholder, Rear Child Safety Locks, Radio: 130, Radio w/Seek-Scan, In-Dash Mounted Single CD, MP3 Player, Clock and Steering Wheel Controls, R1234YF A/C Refrigerant, Part-Time Four-Wheel Drive. 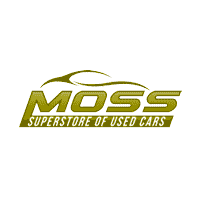 * Stop By Today *You've earned this- stop by Moss Used Super Store located at 1545 SE Evangeline Thruway, Lafayette, LA 70508 to make this car yours today!